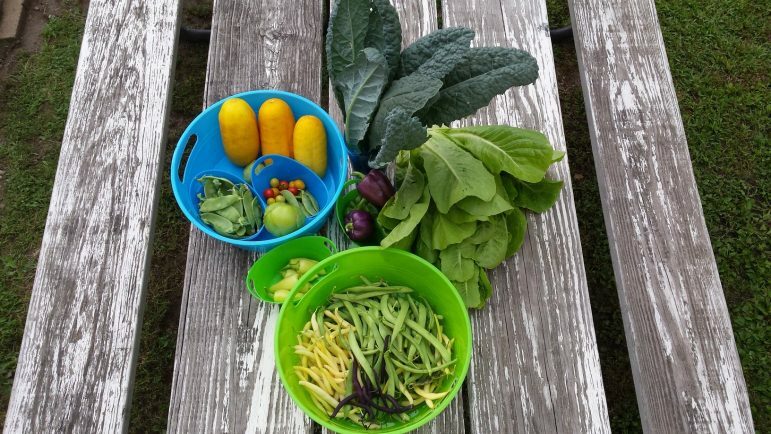 In addition to receiving a free box of fresh produce each week during the growing season, clients also receive targeted health education and nutrition tips. Patients are also invited to help in the garden and learn how to grow food. The program was the brainchild of Southside’s development and communications director, Autumn Chmielewski, who is also a certified urban gardener. She worked with Urban Ventures, which provides holistic programming for families, and additional in-kind support to transform an empty lot that SCHS owns on the corner of 4th Ave. S. and 43rd Street into a budding garden. “We’ve made a real difference,” said Chmielewski of the program, which has seen improved health outcomes and eating habits each year. You can encourage students in school to eat well along with teaching them their ABCs, but nothing is as effective as learning from a hands-on role model who rolls up his sleeves and gets down in the dirt with them. Ross manages all aspects of produce planning, production, harvest and distribution at Urban Ventures, which operates an urban farm on a cluster of properties it owns centered around the intersection of 4th Ave. S. and Lake Street in Minneapolis. There is also a hoop house, hydroponics, and an orchard. 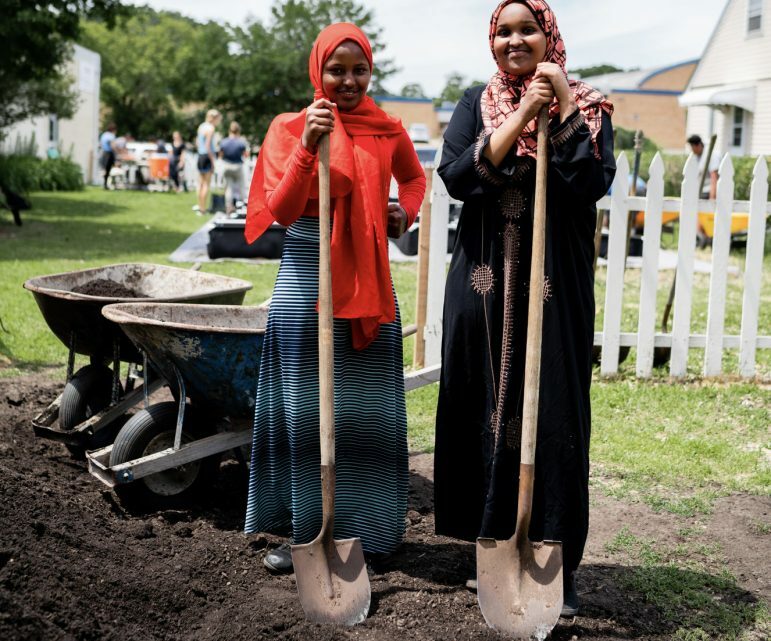 Agriculture as an activity is a novel notion for urban youth more accustomed to hanging out on concrete and asphalt than to digging around in the dirt. It is, to say the least, a new and different experience — one Ross says that they’ve found rewarding. “I’m showing them how to grow veggies every summer out in the garden,” said Ross. He enjoys showing youngsters how food starts out as a seed planted in the soil and grows into what winds up on the plate. “They take veggies home every single day to cook with their parents. That’s important,” he said. This is crucial because breaking the cycle of bad eating habits begins at home. Indeed, it’s happened that parents have improved their own diets by participating with their youngsters in the program. Ross attributes their involvement to Chmielewski. “She sends the parents to us with the kids,” he said. This involves tailoring recipes accordingly to Mexican American and African American households as well as, when called for, Hmong families. The program first launched with 10 clients who were at risk for such maladies as obesity, diabetes or hypertension. Thirty patients participated this year. The program is currently in its evaluation phase — SCHI surveys clients to see how it impacted their health, via such measurable outcomes as weight, diet changes, and even BMI. Ross noted that the priority is providing service rather than restricting who receives it, and that presently there’s a break on the already affordable price. “We offer a 60 percent discount on produce to everyone from the neighborhood who walks in the door [at our] 29th St. and 5th Ave. store. We don’t check I.D. We trust if you say you live in the area. “We are hoping to expand and improve and eventually have a program that the whole neighborhood can benefit from,” said Chmielewski, as she begins preparations for next spring. This includes keeping the education running year-round. The program has also grown to include garden tours and a youth story time featuring local firefighters, police officers, teachers and small business owners.